Javon is using Smore newsletters to spread the word online. 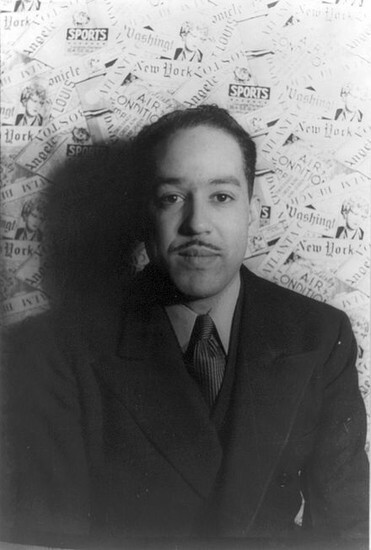 James Mercer Langston Hughes was an African-American jazz poet during a time called the Harlem Renaissance. He was an American poet, social activist, novelist, playwright, and columnist. Hughes was often recognized as the leader of the Harlem Renaissance, being one of the earliest jazz poets during the time. The speaker is being treated unfairly and is hidden in a sense. He is told to go sit and eat in the kitchen when company shows up at the house he's in. He then proceeds to say that he will go and eat in the kitchen and while in there, he will grow big and strong. After he grows big and strong people will realize how beautiful he is and feel ashamed about how they acted. In the poem "I, Too" by Langston Hughes, he wants ultimate equality from everyone. the poem's mood seems to be reassuring. He tells the reader that even though today he is eating in the kitchen, tomorrow, he will be with the company at the table. The tone of the poem seems to be passive aggressive. This is because the speaker is saying that he may not be ready to eat at the kitchen today, but he certainly will be tomorrow. There are 18 lines in this poem. It is a free form poem with no rhyming words, therefore no rhyme scheme. The movement in this poem goes from being obedient and eating in the kitchen to saying no and eating at the table when the company comes over. In other words, the poem switches from a feeling of inferiority to a feeling of equality to those who eat at the table. There are 5 sentences in the poem but they are broken into small lines. The writer did this, in my opinion, to add emphasis on the lines that he is talking about. The sentences are actually very long including pauses and line breaks with the use of commas. All throughout the poem there is enjambment because there is a sentence in each of the stanzas that is broken and continued on the next line. The poet did this to create a certain degree of emphasis on the line. The title "I, Too" creates the feeling that the writer was excluded from something but he realizes that he is no different from everyone else. The language and the words used in the poem are very simple but they mean a lot. The attitude associated with them seem to be rebellious in terms of a "you treat me like this now, but wait until later" type of attitude. The poem lacks allusions and figurative language. Because the poem lacks rhyme scheme and figurative language, it lacks the usual musical elements a poem would have. Poetry Foundation. "I, Too by Langston Hughes." Poetry Foundation, n.d. Web. 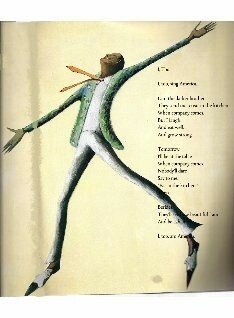 Langston Hughes." Poets.org, n.d. Web. 9 Mar. 2015.